GNS Wireless offers secure, scalable, WiFi network service solutions for homes, small business, and both indoor and outdoor enterprise applications. The 802.11ac and 802.11n access points allow for rapid deployment and easy operation, and one-stop, intelligent remote diagnostics round out a managed network that makes it easy to connect the extended range clients. Pre-configured access points, routers, and antenna solutions provide for a fast installation, with technical support included along the way. Specializing in outdoor wireless network solutions and fixed point to point wireless backhaul applications, GNS Wireless provides solutions for point-to-point wireless bridge, point-to-multipoint setups, Voice over IP (VoIP), Security/Surveillance, Solar & Wind power, alternative power, as well as all types of antennas and accessories. 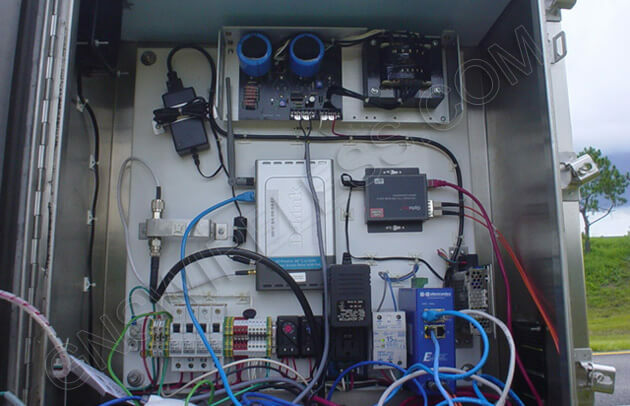 We provide network service solutions for unlicensed, as well as licensed frequencies ranging from 700MHz to 80GHz. As always, our network services are reliable and can be custom fitted to meet your companies needs in every way possible. Please view some of our services below and contact our technical support anytime to discuss your company's IT needs. 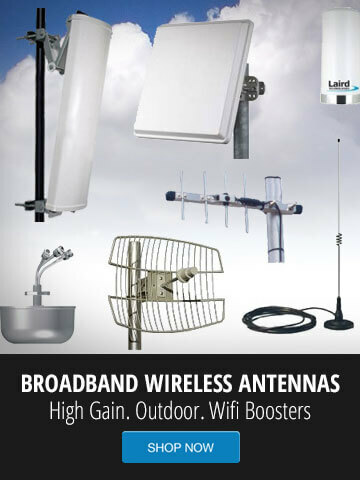 Click here to speak to a pre-sales/technical support associate about our outdoor wireless solutions. At GNS Wireless we offer a dedicated team of experienced engineers to ensure that we provide a superior level of support to our clients. Our staff continues to train in both RF microwave links and data communications. Our support professionals are Cisco and Microsoft certified. Please contact us with your application scenario and we will assist with design and implementation. Please complete the form below and our support team will get back to you ASAP. Typical home based routers and wireless routers are quite slow when more then 20-30 users are online at the same time. For an application such as a Campground, Marina or RV Park, where a client has more then 50 users online at any given time, a more commercial grade wireless router, such as the Cisco RV042 or Ubiquiti ERPRO-8 should be installed. Although this is not a wireless router, this cisco router can be connected to high power wireless access points for long range wireless, or connected to a range extender. More commercial grade routers can actually set an upload/download speed so that no single user can "hog" all available bandwidth. Such a router would be the RV042, or ERPRO-8. Built in POE will allow you to expand your wireless network bridge, or wireless booster without the need for additional wall power plugs. These higher end routers also have faster processors to handle more users. To see how many users are accessing your network at any given time, log into the web based configuration of the router, and navigate to the DHCP list page. This will give you a real time estimate of how many users are on the network. If you see a certain time of day that the network bogs down, log in to the router again, and see how many users. Most likely you will see a large number of people using the wireless or wired network, which would be a reason to upgrade the router. The ERPOE-5 router for example has a built in POE switch, which will allow you to power both indoor and outdoor access points, range extenders, or other wireless network adapters that support 24V passive POE. The best wireless router to use, in our recommendation is one in which you are familiar with. Depending on the application, GNS Wireless might recommend a ERlite for one application, and may recommend a cheaper wireless n router for another application. It really depends on how many users, what type of usage, and what type of features you would like available for your wireless network. With these types of wireless routers, you will not be able to configure a "router repeater". The wireless access point will control the long range wireless functionality, not the router. Routers alone will control the connection to your cable/dsl modem, control the DHCP table, security features such as VPN and remote access, and bandwidth control. All other features such as wifi boosters, wireless boosters, and wifi signal boosters will be the responsibility of the wireless access point. Other quality indoor routers would be the linksys e3000, linksys e4200 and the TP-Link WR1043ND. These would be some of the best wireless routers to use for small office, or home office use. Other great routers that work very well for small to medium sized businesses are the Ubiquiti routers, such as the one above, or ERPOE-5, ER8, ERPRO-8 and ERlite-3. All of these wired and wireless n routers from Ubiquiti have their own particular features that work very well depending on your application. The Ubiquiti AirRouter can be used as a wireless booster, or wireless extender depending on your application. The configuration of this router will allow you to change the settings such as channel size, security, or access point vs router mode. Adding range extenders to this type of setup will increase range, but not exactly increase speed. When wireless repaters are used the throughput of the connection to the wireless repeater will decrease depending on distance, interference, and wireless mode. The best wifi signal booster is to use an external access point for extending the range of the wireless network. Such a wireless booster would be the APC2M, which has up to 1000mW transmit power and your choice of external antenna. Another option is the APC2M-8, which has an integrated 8dBi directional patch antenna. This will boost your wifi signal in one direction, up to 60 degrees, and works very well in applications such as warehouses, or externally for campground, RV Parks, or Marinas. The best wireless router to use with either of those access points is the one you are familiar with, or chose the TPLink WR1043ND. Customers know they can rely on our design teams to provide the most accurate product recommendations. Our engineers work closely with customers as design partners, to deliver custom solutions to meet your wireless needs.. Customers value the design freedom GNS Wireless products and service can provide. We have technicians that work closely with customers to make sure the solution is provided. A consistent level of high quality engineering and manufacturing processes ensures we deliver quality product on time. We have extensive warehousing facilities for just-in-time supply. By having on-site testing and required industry accreditation, we provide assurances for customers across a number of different markets – it provides peace of mind to allow them to focus on their own business. Fast response through the design cycle and speed of delivery matters to our customers. We answer emails and phone calls as they come in. Technical support is provided both before and after the instalaltion. We do not forward our customers to a third party support staff. We handle technical support issues in house, over the phone. This competitive advantage is highly valued by our customers. Q: Hi Support, I would like to increase the range of my WIFI network. I gather that there is a limit in watts allowed for non-military use. I have an apple airport extreme that's not cutting it. I believe that it transmits at 1.778 watts, though this is calculated from its specs at 32.5 dBm. Your products appear to be limited to 1 watt, what am I missing? A: Hi Sir, The exact transmit power can be determined by referring to the following chart. If you are using an omni directional antenna please refer to the point to multi-point maximum. If you decide to broadcast a wireless signal in only one direction, please refer to the point to point maximum.